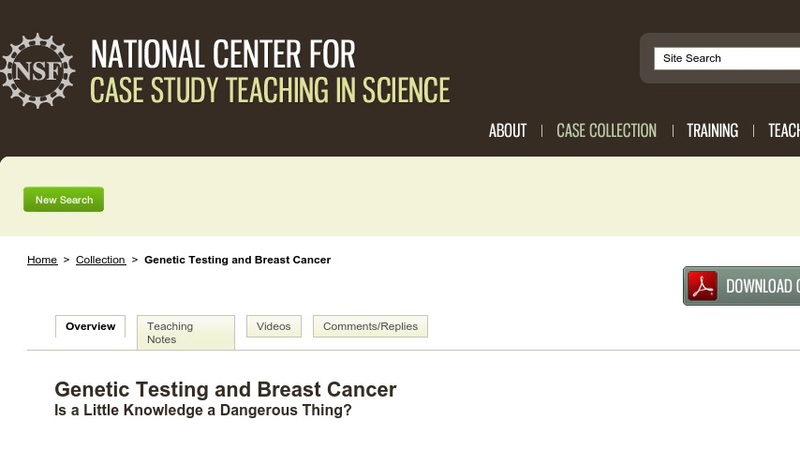 Genetic Testing and Breast Cancer Is a Little Knowledge a Dangerous Thing? In this dilemma case, the central character, Kathy, must decide whether or not to be tested for known mutations in the breast cancer genes. Students assume the roles of members of Kathy’s book club and, using a jigsaw technique, explore the advantages and disadvantages of genetic testing. This case is appropriate for courses that deal with genetics, bioinformatics, biology of cancer, disease prevention, or ethical decision-making.